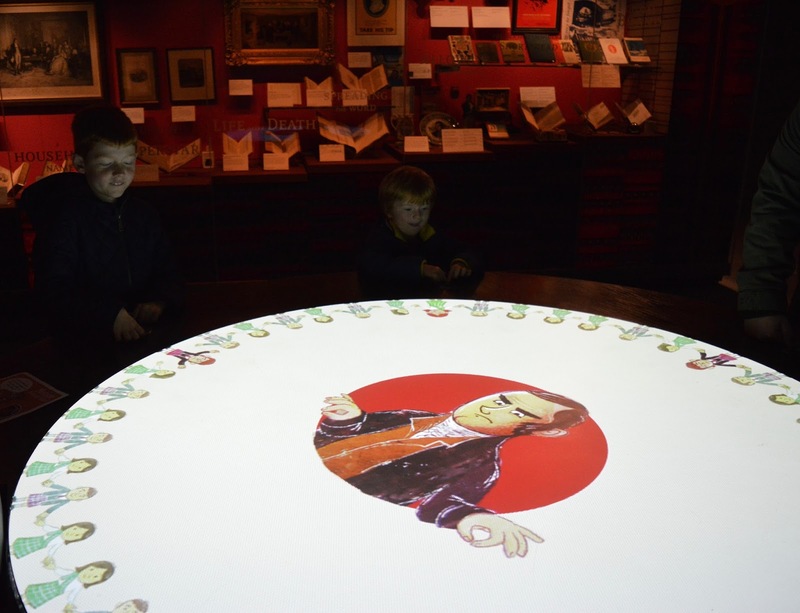 The Robert Burns Museum is located in Alloway, Ayrshire in Scotland. 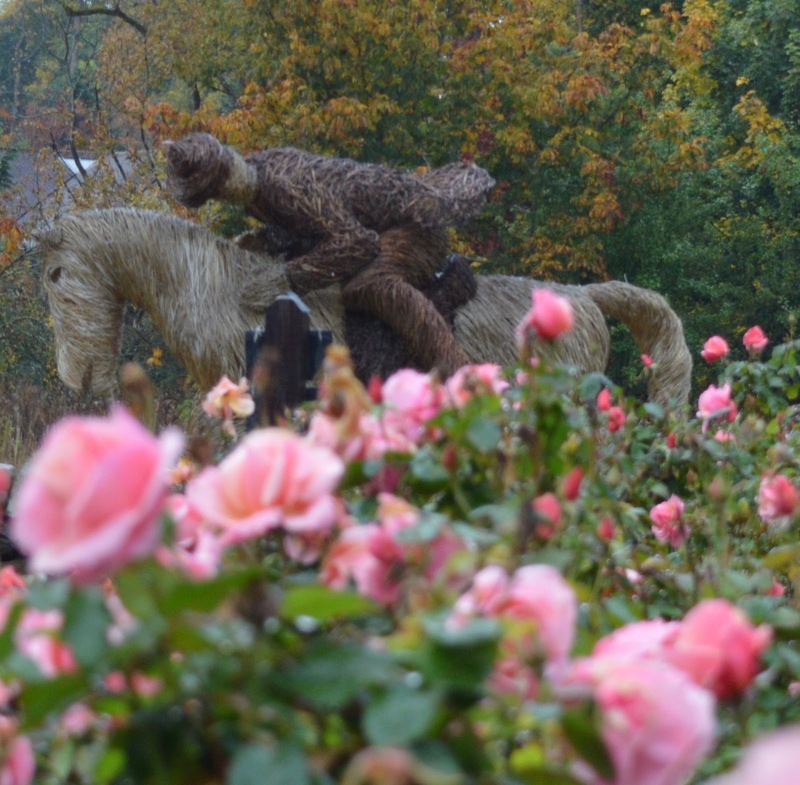 Split across two sites, it really is a lovely place to spend the day and inspire some creativity in younger ones. 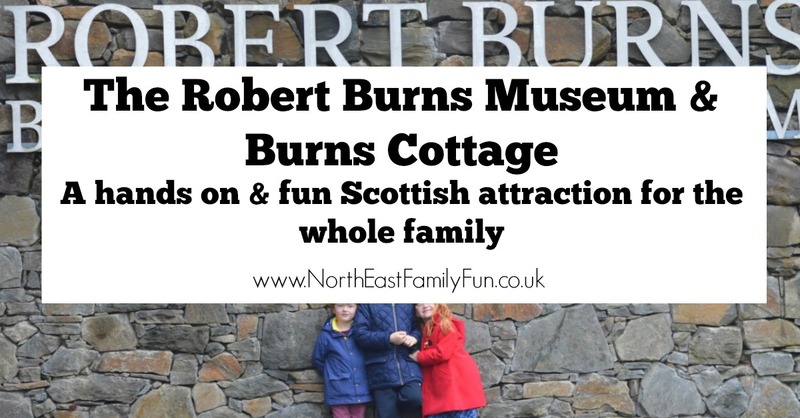 Entry to the museum and cottage is £9 for adults and free for children or FREE if you are National Trust/National Trust for Scotland members. I explained to our children before we visited who Robert Burns was - I reminded them how they had celebrated Burns night at school and at home every January, the importance of haggis (and reminded them of when they'd tried it for lunch) and how we sing 'Auld Lang Syne' every New Year's Eve. We decided to visit the museum first (your admission gives you admission to both the museum and cottage/birthplace which are located a few minutes drive from each other) and we received a warm welcome. I have to say there was a lot to see and do for all ages and abilities and the museum is one of the best historical museum's I have been in for children. 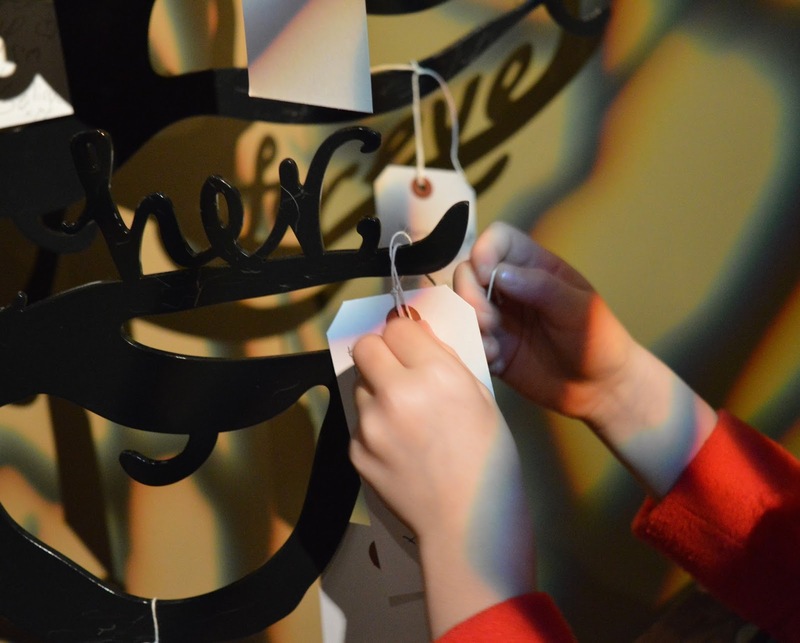 Every exhibition was matched with an interactive and interesting activity for the children to try. 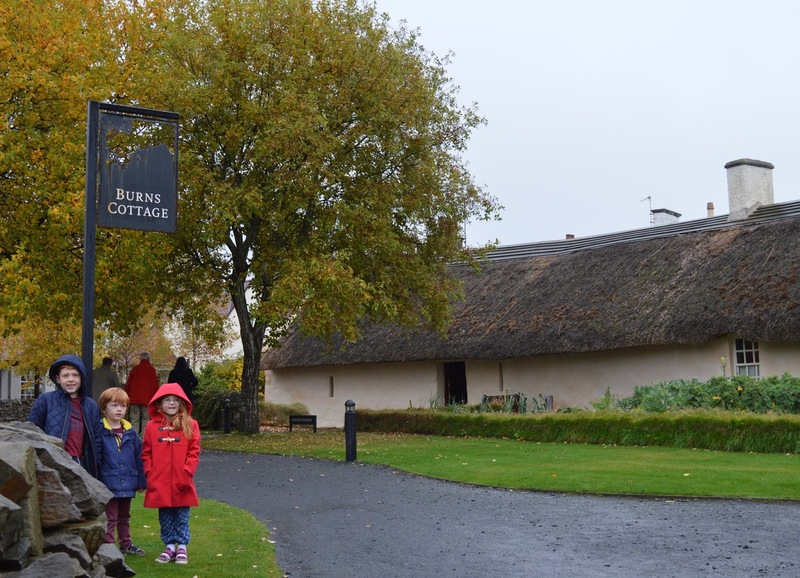 After a lovely hour or so spent at the museum, we hopped in the car and travelled the few minutes up the road to Burns Cottage. The cottage is smaller than the museum and it's only a few rooms but walking around really gives you the sense of what inspired Burns writing and how he lived. You can even read his report card from school. The cottage gardens are beautiful and I wish the weather had have been on our side so we could have enjoyed them properly. If you visit the West Coast of Scotland, a visit to the Robert Burns Museum really is a must in my eyes. There is something for the whole family to take away and I really hope our trip has inspired my little writers of the future. If you're looking for information on how to cook Haggis, check out this Haggis recipe by Big Stevie Cool. 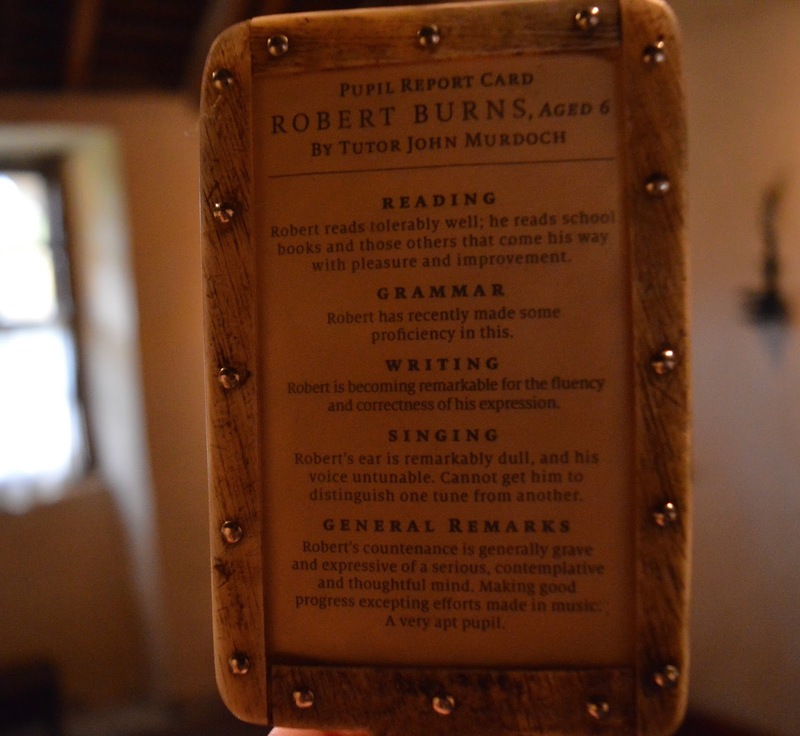 Burns' report card is brilliant! I love the fact that he couldn't sing for toffee. I wish our own kids' school reports were preserved as well as this - paper just isn' quite the same. This sounds like such an interesting trip. We're considering heading off to Scotland this Summer. 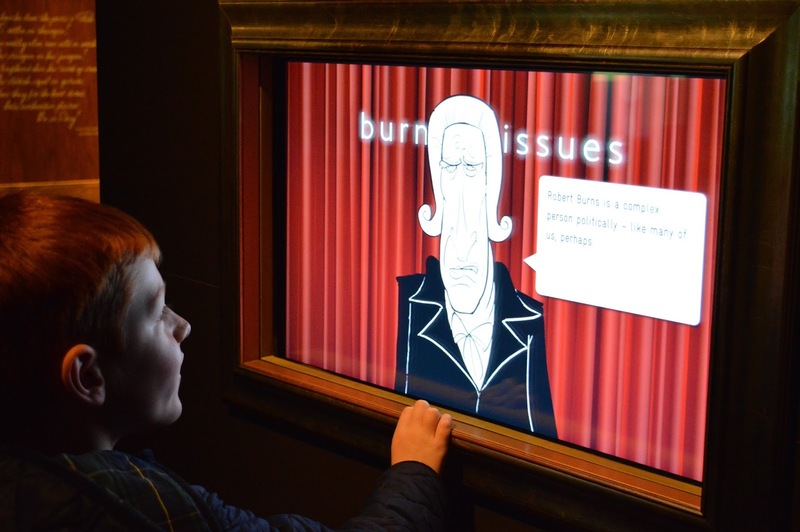 A visit to the Burns museum would be top of our list. Thanks for linking up with #CulturedKids! Oh we have never visited here-definitely one for the list! 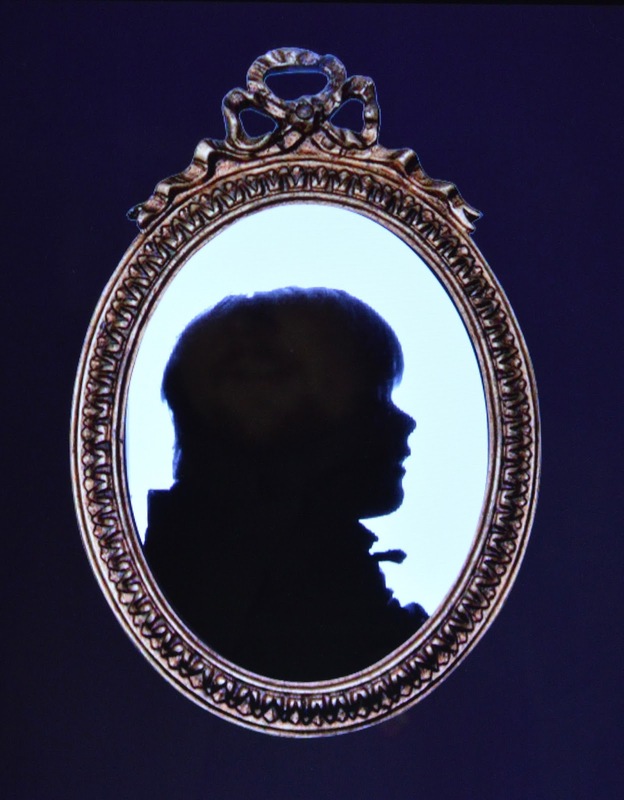 Love the shadow portraits-looks good fun.